Woodworking tools in general are a popular topic in the ToolSelect community, which is eager to get a look at the new 6” Jointer from Grizzly Industrial Inc. The cast-iron tables and center-mounted cast-iron fence make this jointer tough enough to handle big jobs, and the size makes it perfect for shops with limited space or jobsites that require portable jointing power. 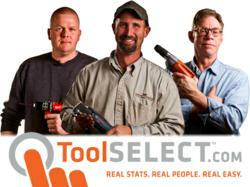 Woodworking tools gives enthusiasts among the ToolSelect community a new topic of discussion in the Grizzly 6” Jointer, just released from Grizzly Industrial Inc. The jointer operates with 6” x 28” cast-iron tables and 4 15/16” cast-iron fence along with a built-in dust-collection system. Grizzly makes a point users shouldn’t let the size of the tool dictate prejudgment. Sweet notes the jointer runs on a 1 ½ HP, 110 V, 20,000 RPM universal motor and features 2 ½” dust port as part of the built-in dust-collection system, 45-degree bevel adjustment capabilities and easy-to-adjust knives capable of 20,000 cuts per minute. The tool comes with a one-year warranty.